Current Australian Bureau of Statistics (ABS) job figures reveal North and West Melbourne regions equal the nation’s greatest percentage of long-term unemployed. ABS data shows 760,000 Australians have been out of work an average 2.6 years, the highest long-term unemployment rate for 16 years – or just over a generation. 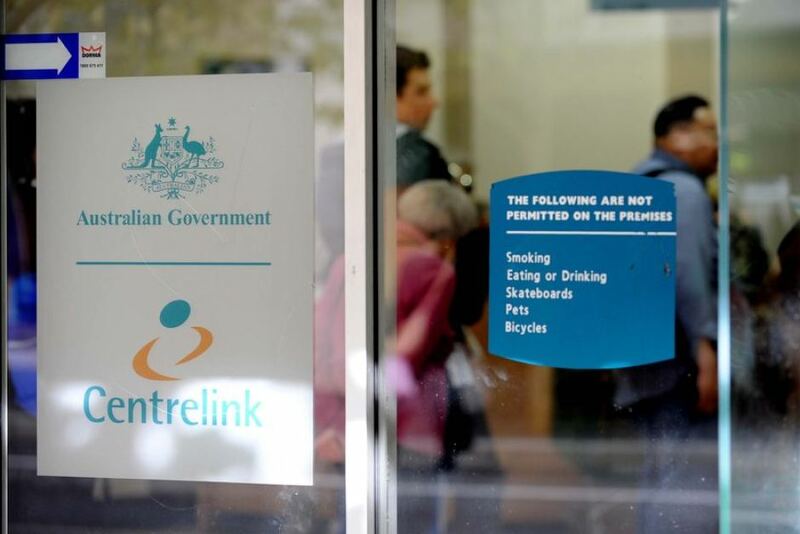 Three-quarters of the Department of Human Services’ Newstart Allowance recipients have been registered longer than 12 months, this being the accepted time measure of long-term unemployment. United Nations statistics reveal more than 40 per cent of young people in the western world are unemployed. In Australia youth unemployment is currently measured at three times the adult rate. Sociologists and statisticians concede the nation’s credited long-term unemployment number denies a vast number of potential workers who fail to register for benefits. Yet these people come from all socio-economic classes; they’re not just people who don’t need extra money to survive. These ‘lucky’ job-seekers include partners who revert to home duties and family care “till things improve”; professionals who use savings “till the next contract”; people who travel “to check out life overseas”; and that plethora of young people “living back home” while parents provide funds to protect them from growing an unemployment record. We all know ‘lucky’ ones. Newstart-registered, long-term unemployed aren’t just proverbial teenage ‘loafers’, 20s ‘heads’ or frustrated mums seeking work relief, although those sectors are certainly covered. Recipients include former chefs and kitchen staff, secretaries, dental assistants, nurses, orchardists, bricklayers, plumbers’ aides, pathologists, truck drivers, butchers, teachers and sales assistants. Also included are thoroughbred horse handlers, tailors, fire service clerks and others engaged across society’s work-life. These people form a distinct percentage of more than three-quarters of a million specialists seeking to return to an employment base for which they have extensive training, expertise and desire. Yet another growing percentage of long-term unemployed have never actually worked; they’ve never taken home a pay packet. These may be school leavers without adequate education for their first work choice, or they may be graduates without work experience who are now too ‘qualified’ for average jobs. That 760,000 ‘out-of-work’ number does not include at least another half-million workers injured on-the-job or by inherent medical conditions — this nation’s disabled workers. Long-term North Melbourne resident Melissa (not her real name) arrived from Cambodia as a toddler with her refugee parents in late 1992. Her father had been an engineer back home and her mother worked as a barmaid. Eternally grateful for the chance of a new life here, dad requalified at Sydney’s Macquarie University, while her mother opened a ladies’ clothing store; they retired to Melbourne in 2007 to be closer to family and life-long friends. Their beautiful 26-year-old daughter reflects both her parents’ genes, having excelled as an honours mathematics graduate from a Victorian regional uni, while presenting as a desirable Eurasian ‘princess’. The only trouble was that she respected her mind, so refused to ‘prostitute’ herself on advertising pages or with endless ‘photographer’ hangers-on. Given her academic results Melissa had no trouble getting work interviews, but says she knew employers’ likely response when she refused to sell her reputation for “a weekend initiation” or “dinner to discuss your work parameters”. Everyone seemed to see her appearance before her soul. Our ‘unemployment test case’ says one of her hardest ‘interview’ pains was pressured groping of her “hands, waist and entire character as they ‘welcomed’ me to their inner offices”, she explains, wincing. Hers is just one case study in long-term unemployment’s pain. The Federal Labor Member for Wills, Kelvin Thomson, believes the closure of northern suburbs manufacturing operations by Ford, Holden and Toyota during the next two years is yet to be fully understood but will certainly further compound local unemployment levels. “We must have an articulated work policy to take our place in the world’s economy, and the recent OECD report said we were right to tailor activities to job seekers,” he said, addressing an electorate unemployment forum in June. “We hear many tales of self-harm by people trying to live on Newstart, which is currently 40 per cent below the poverty level. “One of the key outcomes from the recent Wills Youth Issues Forum was that providing people with sustainable job opportunities is fundamental to building a prosperous, socially resilient and happier community,” Mr Thomson argued, explaining that recent times had seen economic conditions deteriorate and employment opportunities diminish. Northern Melbourne RDA Committee’s Tony Coppola. In ALP heartland the local member encourages residents, employers, employees, job seekers, employment and social services, as well as other interested stakeholders, to have their say on how we all can work to reduce unemployment and, critically, long-term unemployment. The Wills Unemployment Forum was addressed by several community leaders and regional commanders who work tirelessly on unemployment’s intrinsic social problems. They included new Victoria Police North West Area Commander Inspector John Kearney, Youth Projects CEO Alison Tehan and Sydney Road Traders Association’s Claire Perry. Work-threatened employees were directly represented by spokesmen from the National Union of Workers, who discussed current and future pressures on the 700 workers at Woolworths’ Northern Distribution Centre, announced for closure in 2018. Mr Thomson promised to use work recovery recommendations from this forum to advocate in Federal Parliament, the Labor Party and other relevant bodies on the need for greater policy focus to tackle unemployment in Melbourne’s northern suburbs. “Young people are currently experiencing very difficult economic, employment and social circumstances. I believe it is a fundamental responsibility and function of any government to help nurture, support and guide our young people to lead happy, productive and fulfilling lives,” said Mr Thomson. “They’ve been dealt a tragic trifecta of job insecurity, housing unaffordability and student debt … Would we have been able to handle that? “But it’s not just young people who are experiencing difficult economic circumstances,” Mr Thomson continued, rejecting current Federal Government policies. “Proposals to raise the retirement age, oppose the superannuation guarantee increase, cut investment to education, TAFE and economy-stimulating programs are also making it harder for all Australians to get re-skilled and find sustainable employment. “Since Labor left office in September 2013, unemployment in Broadmeadows — just north of the Wills electorate — has risen from 21.9 per cent to 23.5 per cent. These unemployment levels are now on Spanish and Greek terms, with long-term unemployment across the nation at its highest rate in 16 years. “Youth unemployment is around the highest level since 1998. Young people accounted for 29.8 per cent of the long-term unemployed pool in February 2015 — well above the 22.5 per cent recorded in September 2008 — and youth unemployment in Melbourne’s northern suburbs is at its highest level since the 1990s, at more than 14 per cent,” he said. Mr Thomson added that young people had now lost their Youth Connections program, so would lose specialist youth providers with decades of experience. “Wills has traditionally been home to a blue-collar manufacturing base but we have been transitioning for the past 20 years towards a more knowledge-based economy,” said Mr Thomson, remembering times when this region’s community was thriving with large-scale manufacturing precincts including North Coburg’s Kodak factory, Chef and Tip Top in Brunswick, Hard Yakka, brickworks, and defence clothing and other industries. “Melbourne’s north is now home to high-class knowledge-based infrastructure including world-class universities, TAFEs and the Plumbing Industry Climate Action Centre in Brunswick,” he explained. With the NBN in Brunswick this wider region will increasingly become home to more knowledge-based, IT and creative businesses, while the presence of health services and education providers across the electorate has grown in correlation with jobs in those sectors. Mr Thomson was buoyant about future job prospects, predicting five areas in which Victoria would lead the world: “Melbourne’s north has tremendous potential to benefit from medical technology and pharmaceuticals, renewable energy technology, food and fibre, transport, defence and construction technology, and professional services. Mr Thomson encouraged local community groups and local businesses to consider applying for funding under the Australian Government’s new Stronger Communities Program. The program will provide funding of up to $150,000 in 2015–16 and 2016–17 for each federal electorate to support small capital projects which improve local community participation. Grants of between $5000 and $20,000 will be available for projects with matched contributions, in cash or in-kind, on at least a dollar-for-dollar basis. Alternatively, contact Kelvin Thomson’s office via Anthony.Cianflone@aph.gov.au or on 9350 5777.